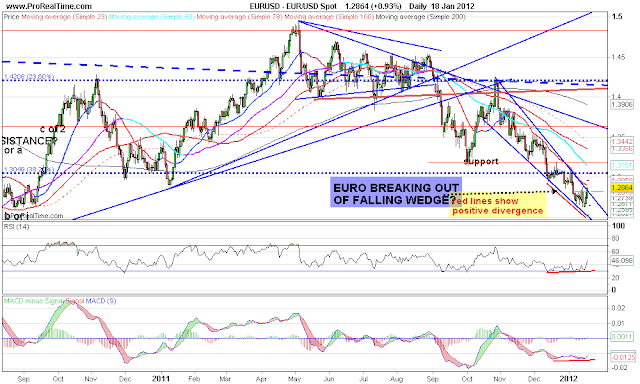 A laymans view of markets, a diary for trading ideas and thoughts: EURO DAILY, breaking out of falling wedge? Price action is poking above that descending trend line (upper boundary of the falling wedge). If we get a sustained push expect SHORT covering to come in, and a sharp rally. 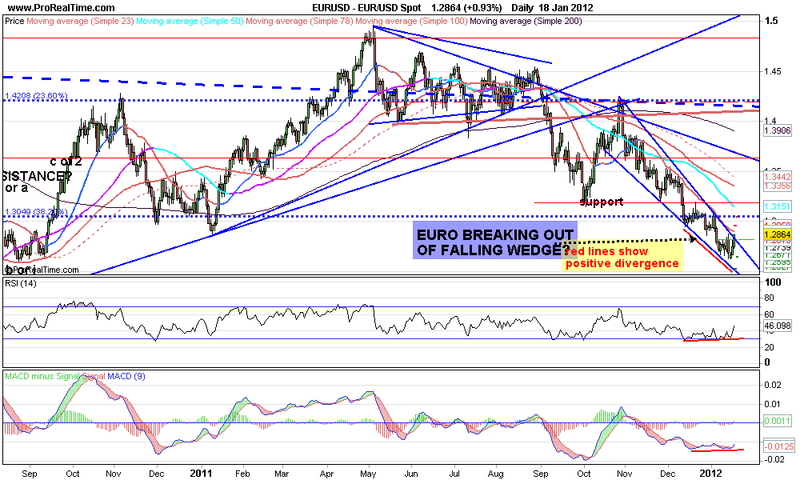 Sentiment is still BEARISH on the EURUSD and there is still a record SHORT position.. conditions RIPE for a BIG squeeze! !